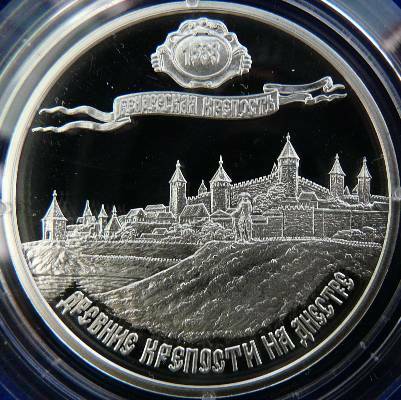 The image of the fortress depicted on the coin is based on painting "View of Tighina Fortress" painted in 1790 by Russian painter Mihail Matveevici Ivanov (1748 - 1823). Acordingly to the Romanian philologist Ştefan Ciobanu, who analyzed the etymology of word Tighina, the word is of Tatar or Cuman (Kipchak) origin. In Turkish and in Tatarian "teghine" means bucket, tub or kier. The city is surrounded by hills, so the sense of the name is fearly fit. In 1538 the Turks dismissed the Moldavian voivod Petru Rareş from the rulership of the country. After this military expedition, the city of Tighina on river Nistru is taken by the Porte, being transformed into a raya. If a Moldavian fortification previously existed at Tighina (most probably), it was a less important one, made of wood and earth, maybe with a ditch (dry moat) and earthen walls. No records of at least one pîrcalab of Tighina were found. The name of the place was change by the Turks to Bender, that meaning "harbor" or maybe "gate". The Turks built there, on the right bank of river Nistru, a strong stone castle. After the Treaty of Bucharest in 1812, Russia seized from Moldavia all the territory between rivers Prut and Nistru. In the same year the Russians occupied the Turkish rayas Hotin at north, Bender, Akkerman, Chilia, Căuşeni, Reni and Ismail at south (in Basarabia). All these territories rightfully belonged de jure to Moldavia and were inhabited by many Romanians, their turning into raias being against old Moldavian-Turkish capitulations. All raias in the Romanian principalities were Turkish possessions only de facto and thus result of abuse. At 1918 the Moldavian lands between Prut and Nistru Rivers returned to the motherland, and Tighina became a county residence. 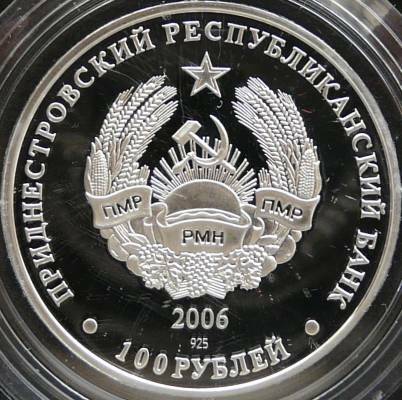 After 1944 Tighina was a part of the Moldavian Soviet Socialist Republic . After the war at Nistru in 1991, Tighina was occupied by the Russian oriented Transnistrian separatists, situation perpetuated until today (2010).